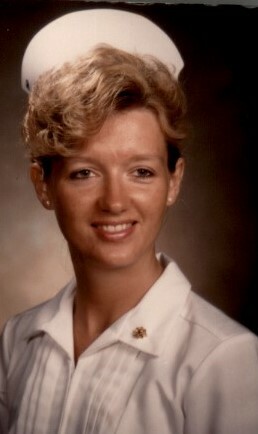 Whiteville: Laurie Hill Williamson, 56 of Whiteville died Tuesday, January 22,2019 at the Columbus Regional Healthcare in Whiteville. She was the daughter of Annie Jane Hyatt Hill and the late LutherThomas Hill. She was preceded in death by her daughter, Alecia Jayne Williamson and a brother, Tommy Hill, Jr..She was a Registered Nurse in the Healthcare and Hospice Home Care industry for over 30 years. She was a member of West Whiteville Baptist Church. Survivors include her husband, George Randy Williamson of the home. son, Joshua Thomas Williamson of Whiteville, N.C. and daughters ,Paige Danielle Williamson of Whiteville, and Mallory Cameron of Florida. N.C., brothers, Kenneth Scott Hill of Bladenboro, N.C. and Shane McQuage of Fairmont, N.C. mother, Annie Jane Hyatt Hill of Bladenboro, N.C. special niece and nephew Georganna and Matt Lovette of Green Sea, S.C. and a special friend, Marshall Obrian Ray of Whiteville, N.C. Four Grandchildren. Funeral Service will be Saturday, January 26,2019 at 11:00 a.m. at the West Whiteville Baptist Church with Rev Terry Green and Rev.Matt West officiating with burial following in the Meadows-Robinson Cemetery, Bladenboro, N.C.
Visitation will be Friday, January 25,2019 at McKenzie Mortuary from 7-9 p.m.